Blowout Sale! Free Shipping Included! 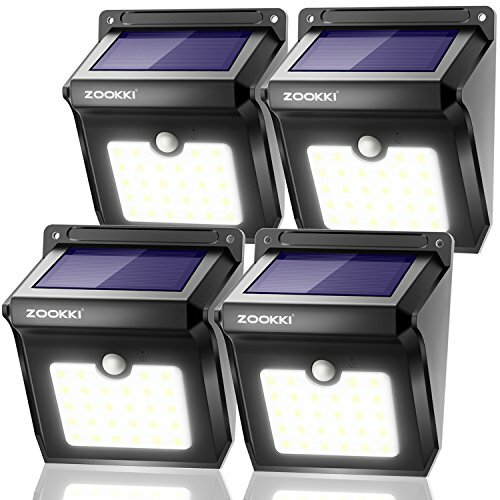 Save 72% on the Solar Motion Sensor Lights Outdoor, ZOOKKI 28 LEDs Waterproof Solar Powered Wall Lights, Wireless Security Night Lights for Outdoor Garden Patio Yard Deck Garage Driveway Porch Fence 4 Pack by ZOOKKI at EOS Lighting LLC. MPN: ZK-SL-28D-4P-US. Hurry! Limited time offer. Offer valid only while supplies last.